The Starter Kit 1-2-3™ brings you three of our most popular products in one convenient cleaning kit: The Grunge Brush™, Multi Bike Degreaser, and DRY Lube. The Grunge Brush™ is our most popular cleaning brush because it is super durable, and now even easier to use with a new ergonomic handle. It's stiff bristles break up grunge and grime. Use the u-shaped end to clean your chain and chainrings, use the tail-end to clean in your derailleurs and around the dropouts and between the bottom bracket and chainrings. 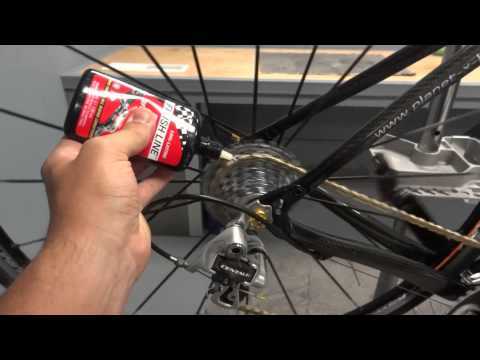 Multi Bike Degreaser is a super strong cleaner that breaks up grease and grime fast. It’s 100% biodegradable, super low order, and safe with all plastic and rubber parts – so its safe to use anywhere. Use Multi Bike Degreaser with the Grunge™ Brush for a complete clean. DRY Lube is our most popular lubricant. Apply to the chain and other moving parts. Keeps your drivetrain moving smoothly and lasting longer without attracting dirt and grunge.